Our partner Equisol offers week-long holistic yoga and horsemanship retreats in beautiful Nosara, Costa Rica. These retreats feature talented trainers from around the world, luxury accommodations at Finca Austria, delicious and healthy cuisine, yoga classes, a relaxing massage, truly amazing beach and jungle trail riding and so much more. Each guest is paired with one of the charismatic Costa Rican horses so both horse and rider have a chance to bond and learn together over the course of the week. As a full service facility our partner Playa Ponies offers from personally guided 1 Hour beach tour for adults and kids up to passionate guided half day tours and riding lessons. They have two instructors on site and great lesson horses if you don't have your own. Both of their instructors emphasize the horse human connection, and how to develop your skills to increase balance, and improve communication with your horse resulting in harmony for any riding style. Finca Austria Nosara is a unique and diverse wedding venue. We offer exceptional celebrations and can host and cater for all your friends and family members. Imagine lush rainforests, waterfalls, volcanos, and black and white-sand beaches filling the land between its Caribbean and Pacific Coasts. Costa Rica. Finca Austria Nosara at the West Coast of Costa Rica is a perfect wedding destination with exceptional service and dedicated wedding party service team. For couples getting married in Costa Rica, horseback riding, hiking, fishing, and exploring the diverse and colorful ecosystems are also popular excursions. A Costa Rica wedding provides a world of possibilities. Envision your big day including quality time with loved ones in a beautiful destination. Picture exploring fun local excursions while capturing that perfect photo album for the entire getaway. Costa Ricans are passionate about football, the country's number one spectator sport and also a popular participant sport among the locals. 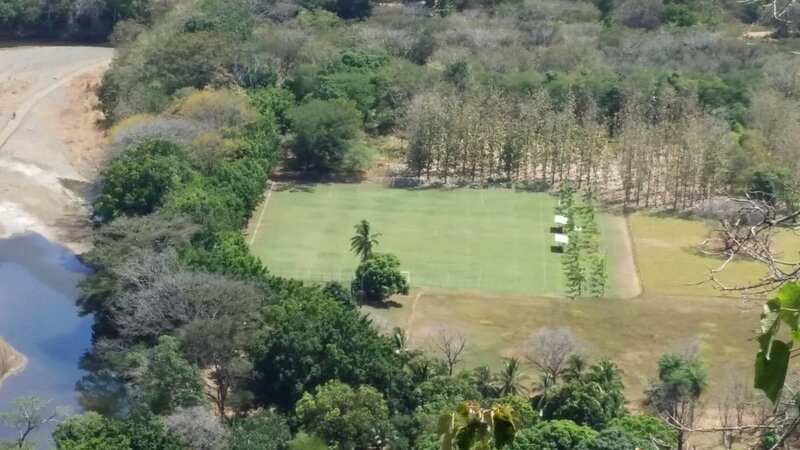 Finca Austria Nosara is home to the local Finca Austria Nosara football team. Our football field is of international measurements. Finca Austria hosts annual sport tournaments from sport enthusiasts and international groups or journalists from around the world. Together with our famous Saloon it makes your sport event long remembered.Book your Soccer Field day or your Tennis Court day at Finca Austria. Or make it all: Soccer + Tennis + Saloon. Video about The Caricaco 2014 Music and Arts Festival which took place 15 th of march 2014 at Finca Austria Nosara, and will take place on 18th of april 2015 as well.